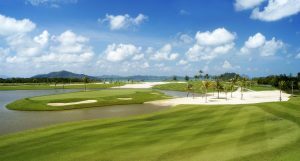 One of the fastest growing regions in the world for golf tourism is Thailand, and most especially the Island region of Phuket. 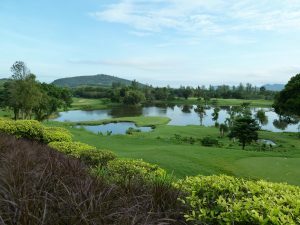 Phuket the largest island in Thailand, is a vibrant and interesting place to visit for those that are not interested in the various and diverse golfing options that the island has to offer. The second smallest of the Thai provinces, the name Phuket derives from the Malay word for hill, which is apt considering the mountainous terrain of the island. The climate is considered as a tropical monsoon, which means it enjoys similar temperatures year round. The wet season is typically April through to November, with the dryer months falling between December and March. For those who are not so interested in the rich abundance of top quality golf courses, Phuket also has stunning beaches, lively night life and a huge selection of top quality restaurants. Patong is the most popular tourist region owing to its easy access and is full of tourists. The island is home to eight golf courses, which provide the perfect balance of beauty, design and challenge to golfers of all levels. 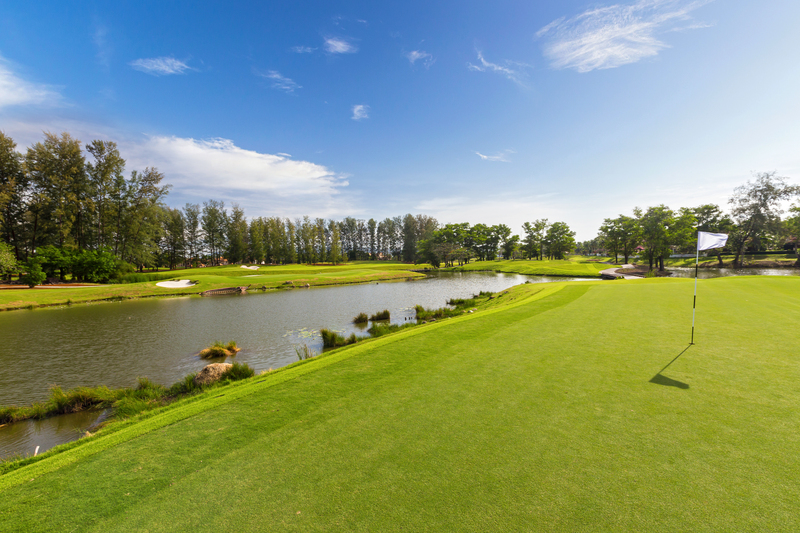 The quality of the golf courses is high, with lush green fairways, true fast greens and superb views of the stunning and abundant wildlife that surrounds most of the courses. The service that you will receive at any of the eight courses will leaving you feeling like royalty and you will not be disappointed. Each course has been designed to fit perfectly with the natural terrain and environment that the island has to offer and each creates a sense of culture and peacefulness. Of the courses the most desirable is possibly The Blue Canyon Country Club. Blue Canyon is set in a 730 acre site, and provides locals and visitors with two superb golf courses. The world renowned Canyon Course, which has one various awards, including having it 7th hole registered in the top 500 best holes in the world and the Lakes Course, which presents the golfer with a completely different challenge to its sister course, with 17 holes featuring water. The Canyon Course is certainly the more testing and accuracy is key, whereas the Lakes is that little bit more forgiving on wayward shots. 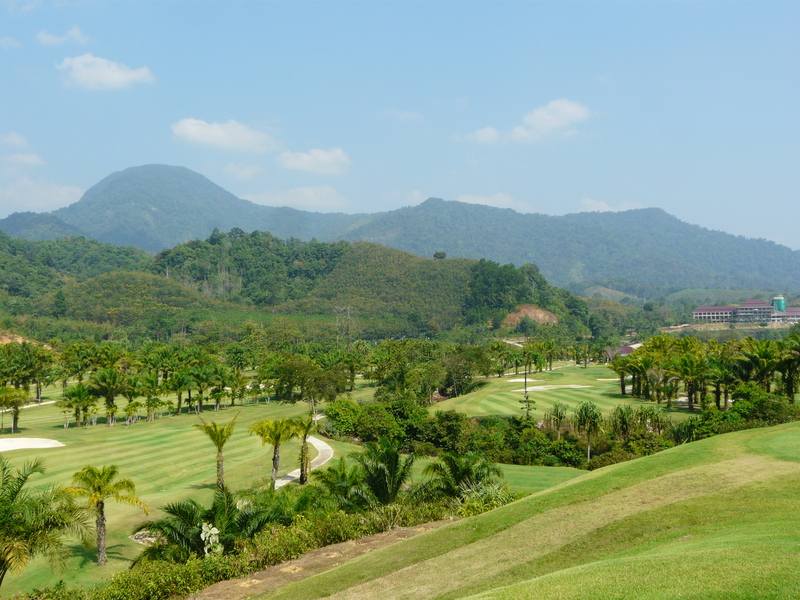 One of the golf courses that is perfectly located for those that want to live the culture of Patong is Red Mountain, located just 15 minutes drive from Patong Beach. Golf at Red Mountain begins and ends with the sunrise and sunset so getting a tee time at this ever popular course is relatively easy. 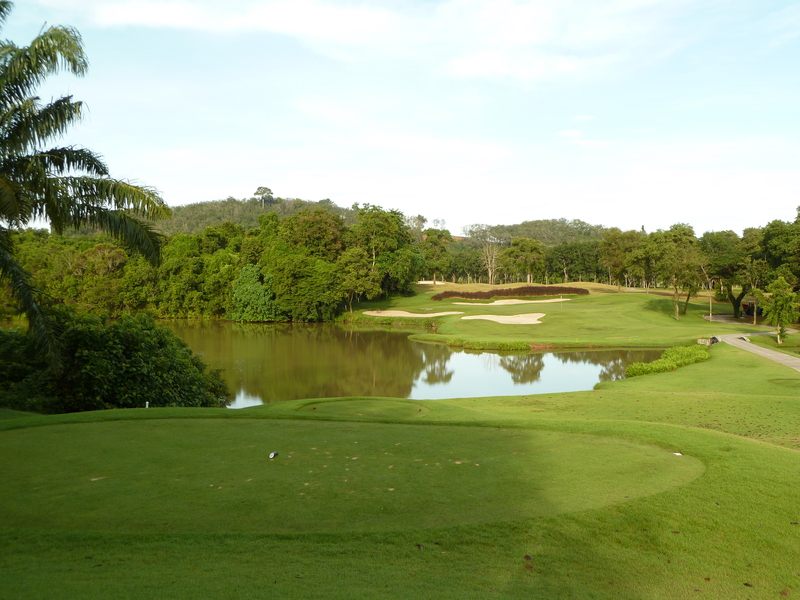 The layout of the course is visually stunning with the use of red soil, giant granite rocks and native vegetation. The clubhouse at Red Mountain is superb and offers fine dining and spectacular views of the forest which borders the golf course, a drink after you round at this superb course is a must to enjoy some of the most fascinating views on any of the islands golf courses. 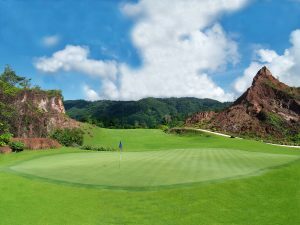 Red Mountains sister course Loch Palm Golf Club is just as enjoyable, and presents the golfer with yet more stunning scenery, as the forests and jungle create beautiful backdrops for many of the holes. The layout of the course is challenging and although some long carries are required, good shots will be rewarded. A stunning par three awaits at the 14th, at 168 yards and a drop of some 60 feet to an island green the hole gets even the calmest of golfers nervous. Cut from the rubber plantations that previously sat where rolling fairways and greens now lie, is the Mission Hills Golf Club. The course enjoys views out over the ocean and the designer has created a perfect flow of vivid colors to attract the eye with large white sand bunkers and lush, deep green fairways and bunkers all backed by the bright blue of the ocean. A true work of art. 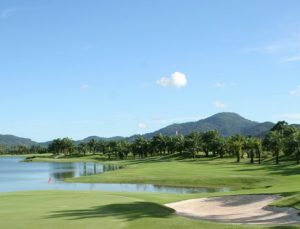 A course that has undergone reconstruction but now sits as one of the best is Laguna Phuket, a challenging golf course with plenty of water. The course sits within the luxurious Laguna resort and as such provides the best in quality and service. 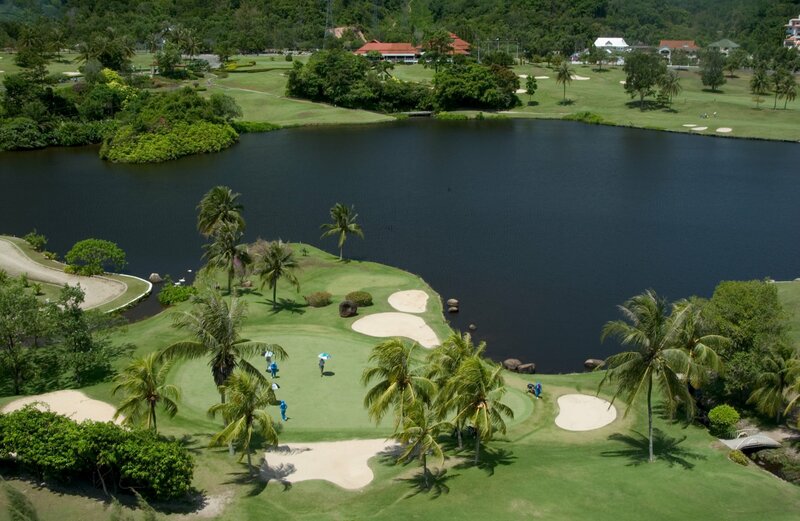 Another course that is an absolute must play is Phuket Country Club, which was the first to be built on the island. 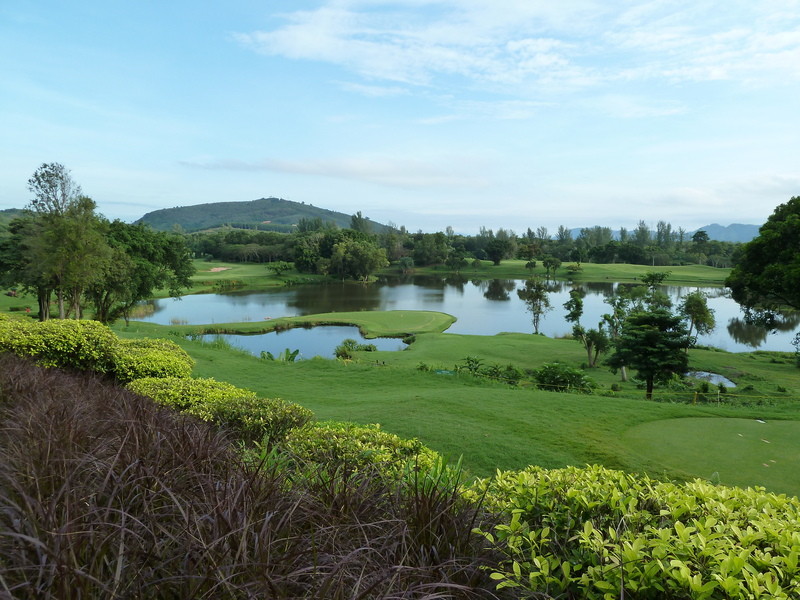 The resort offers an 18 hole course and a 9 hole, par 38 course. 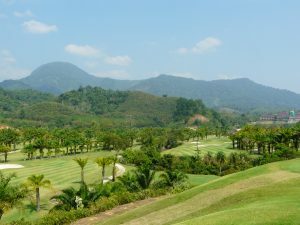 For those wishing to play a more relaxed and somewhat easier round of golf then Phuket Country Club is the course for you. The course is set in a valley and boasts 54 bunkers and water coming into play on just 7 holes. The 18 hole “old Course” is generally liked by high handicappers who often record their best score here when visiting the island, yet strangely enough it seems to provide enough of a challenge to the better player as well. It has possibly one of the most interesting hole son the island with the par 5 10th, at 557 yards the hole sweeps it way around the lake to the green which believe it or not is reachable from the tee, if you are brave enough to take on the 240 yard carry, something that I am sure the longer hitters must be tempted to do if they ever play the course. The 9 hole layout is somewhat tougher and at 3575 yards presents even the lowest handicappers a problem. It is extremely picturesque, but do not let its beauty fool you, it is a brute. Golf in Phuket is a must for any golf enthusiast. The golf courses are set in some of the most beautiful and breathtaking scenery in the world and the prices are extremely competitive in comparison to other parts of the world offering a similar service. Be sure to go during the dry season as the wet season can be very wet and golf is not much fun when you are wading through puddles on the fairways.